The 2012 election will pit Sarah Palin against Hillary Clinton. Here’s a provocative prediction for the New Year: 2012 will see the first woman elected as President of the United States. Forty-four men have been elected President in the nation’s 234-year history. That’s a very small club of leaders that has represented hundreds of millions of Americans and many generations since the American Revolution. Women didn’t even achieve voting rights until Aug. 18, 1920, when the 19th Amendment to the U.S. Constitution was finally ratified. The struggle for women’s suffrage began in the late 1700s as “feminist” Abigail Adams, the wife of America’s second President John Adams, urged him to remember women as he labored to secure the liberties of our new country in its early development. It’s no great surprise, then, that after two centuries the time has come for a female to lead our nation of just over 311 million people. The latest census showed about 152 million females and 147 million males in America. Those numbers are expected to be higher in the 2010 census figures, but the point is that women make up a substantial enough portion of the American population to influence a national election — for a woman. The 2010 elections saw four women governors of note elected in Arizona, New Mexico, Oklahoma and South Carolina — states with significance in the national electoral picture and states representing the fastest growing demographic, Latinos. Washington state’s own Christine Gregoire is the new chairwoman of the National Governor’s Council, and 2010 also saw two accomplished women, Meg Whitman, former eBay CEO, and Carly Fiorina, formerly the head of Hewlett-Packard, legitimately seek statewide office in the massive state of California. Secretary of State Hillary Clinton and former Alaska Gov. Sarah Palin, a political rock star, are both women who draw national attention and generate emotion on both sides of the political spectrum — that’s why they’ll be contenders for president in 2012. Americans have tried the Barack Obama experiment — the election of a liberal, minority president with no real-world experience and a thin resume — and found it wanting. The Obama “hope and change” magic of 2008 is nearly exhausted, both nationally and internationally. In politics, it’s very difficult to recapture the same “magic” once the American voter has a shaken faith, especially where pocketbook issues are concerned. With about 10 percent unemployment, a stagnant economy and turmoil in the world, voters have about had it with the Obama/Pelosi/Reid left-side agenda. When the National Enquirer and other grocery-checkout trash magazines start printing crazy Obama stories, it shows the glow of invincibility has faded and can’t be easily reignited. The 2010 election told us where the nation is politically — on the right side of center — and if congressional Republicans are smart and not overzealous, Mr. Obama’s last two years in office will fall short of his plans to transform America into a left-of-center country. So the presidential candidate door will be open next year for the national scene’s two most powerful women — Democrat Hillary Clinton and Republican Sarah Palin. Even though these two are definitely not my choice for the 2012 slate, history and national circumstances are likely to propel them to their party’s nominations. Given the lust (sorry!) of her husband, Bill, for national attention, Hillary Clinton will continue to position herself as a logical substitute for Obama’s failing image and as the Democrats’ only 2012 hope. She has bona fides in a big electoral state — New York — and has traipsed around the globe as a good soldier in contrast to Obama’s weakening popularity in the global community, showing that even the Obama international allure has limits. She is of an acceptable age (mid-60s) for the presidency and is experienced enough (Secretary of State, U.S. Senator, former first lady). She’s already made one presidential run, and organized labor and minorities love her. She has wide political connections and can raise the necessary money, too. Sarah Palin, on the other hand, has been a governor for two years, a prolific fundraiser, a darling of the Tea Party movement and proven herself deft at keeping her name and profile at the center of national attention by virtue of her good looks, brash style and everywoman resistance to sophistication. She seems to think the phrase “darn right” and leaving the “g’s” off the end of her verbs is somehow endearing to the average voter. And it is — to some. Politics and elections are about timing and opportunity. While some have speculated that a Hilary campaign splits the minority vote, and a Palin campaign doesn’t interest the candidate because she’s already making millions, those arguments miss the mark. They discount the natural human urge for power among the American political class. When you already have millions of dollars in the bank, making a few million more doesn’t really matter. When you’ve been close to power, the natural tendency is to think, “why not me?” for the top job. A broad range of Republican candidates with that “why not me?” mentality will comprise the 2012 Republican field, but only a Palin candidacy has the populist attraction. Obama will eventually realize that his magic is gone, so he’ll push hard for the next two years to leave a left-wing mark on his historic presidency, but will retire as an international figure, where he’s most comfortable, thereby leaving the door open for a Clinton resurgence. If this scenario causes you to reach for the Pepto-Bismol, better get involved early next year with the candidate of your choice. 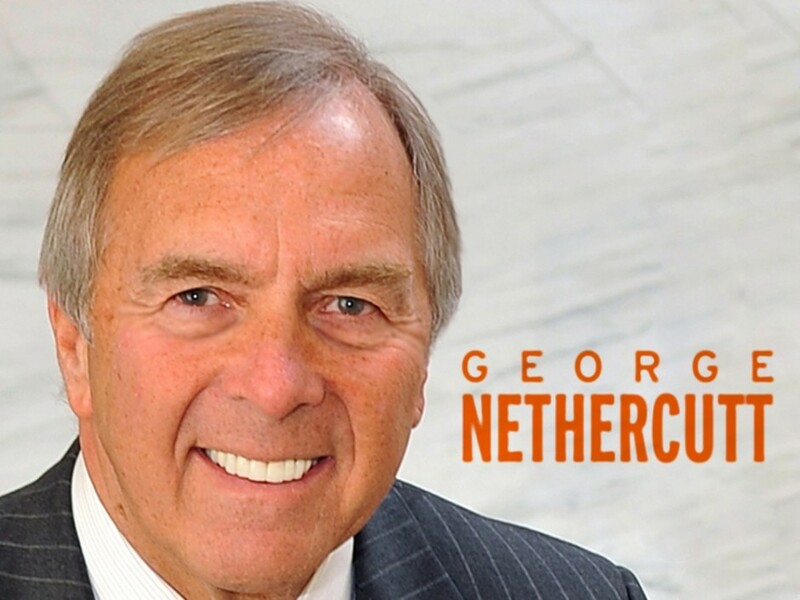 George Nethercutt is the former congressman from the 5th District of Washington. He is spending the holidays in Spokane, getting back in touch with his roots at the end of a snow shovel.